How an updated version of a 90s game made augmented reality mainstream. Presented by Rory Cellan-Jones. How an updated version of the 90s game Pokémon has made augmented reality mainstream. Plus, ways in which crooks are using ever more sophisticated email attacks to steal money and data from companies. And the energy-generating paving tiles that are helping light a Favela in Brazil. Presented by BBC Technology Correspondent Rory Cellan-Jones, with Jane Wakefield from the BBC Online tech desk, and special guest Keza MacDonald, editor of games site Kotaku UK. 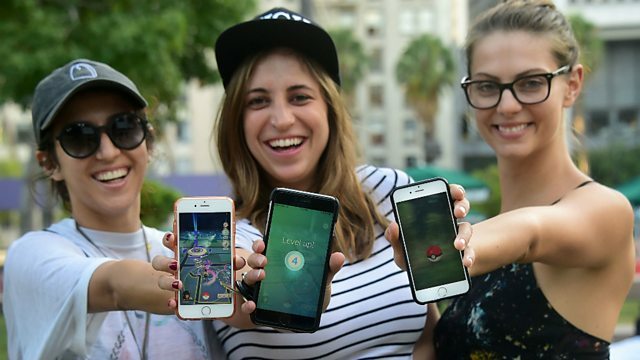 (Image: Three young women in Los Angeles playing Pokémon Go, Credit: Getty Images).